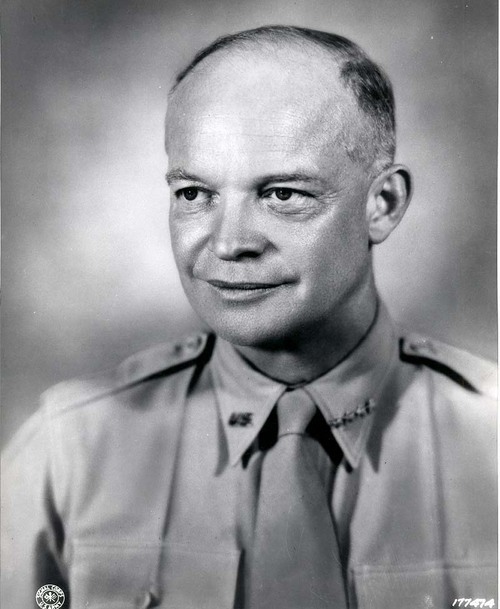 This portrait of Dwight Eisenhower shows him in uniform. It was taken in North Africa, August 18, 1943. He grew up in Abilene, Kansas.